In this video presentation from the 2016 University Business Technology Conference, Broward College provides a blueprint for creating immersive collaboration spaces that facilitate knowledge transfer. 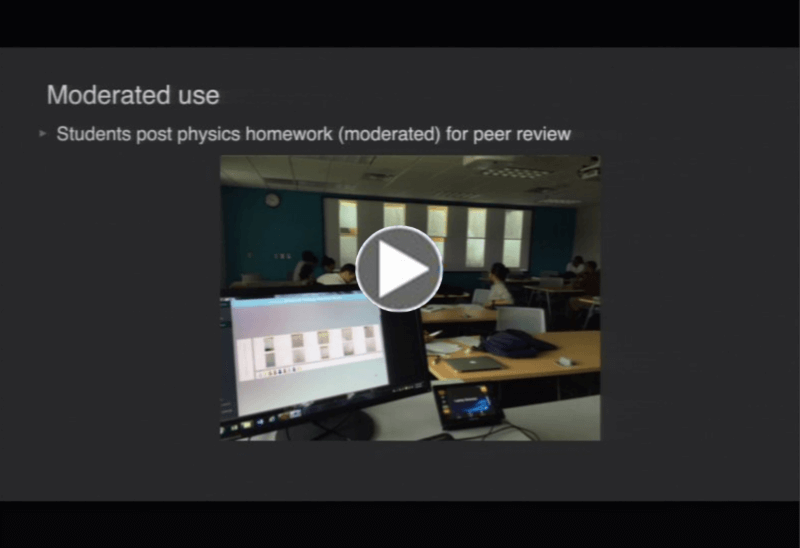 Like many leading colleges and universities, Broward College sought to achieve higher levels of student engagement and interaction by integrating student mobile devices with lesson content. The presentation covers the full project lifecycle, from initial drivers and goals to planning, deployment and use. Solstice-specific discussion starts at 19:30. To learn more about how Solstice transforms the classroom learning experience, visit try.mersive.com/solstice-in-the-classroom. In this section, we answer some commonly asked questions about Solstice. 1. What is the Solstice Dashboard and how do I use it? The Solstice Dashboard is a software program that allows an IT administrator to monitor, configure, and manage all the Solstice displays on the network from one central workstation. Dashboard capabilities include the ability to update network settings, view room/user analytics, post emergency and bulletin messages, and much more – for all Solstice endpoints on the network. The Dashboard software can be downloaded from the Mersive website and installed on any Windows 7, 8, or 10 PC. For a deeper understanding of how to use the Dashboard, sign up for our upcoming Solstice training for IT managers on August 3. We’ll cover the capabilities of the Solstice Dashboard in detail as well as other important information for IT administrators responsible for deploying and managing Solstice on the host network. You may also refer to the Dashboard Reference Guide. 2. I recently found out Mersive offers Solstice software maintenance. Why is this important? Solstice software maintenance provides a future-proof upgrade path for access to new features and improvements made available via software updates after the initial purchase date. An active software maintenance plan is required for access to the software updates as well as technical support from our Solstice experts. Mersive releases new features and improvements frequently via software updates, so active software maintenance is very important. 3. 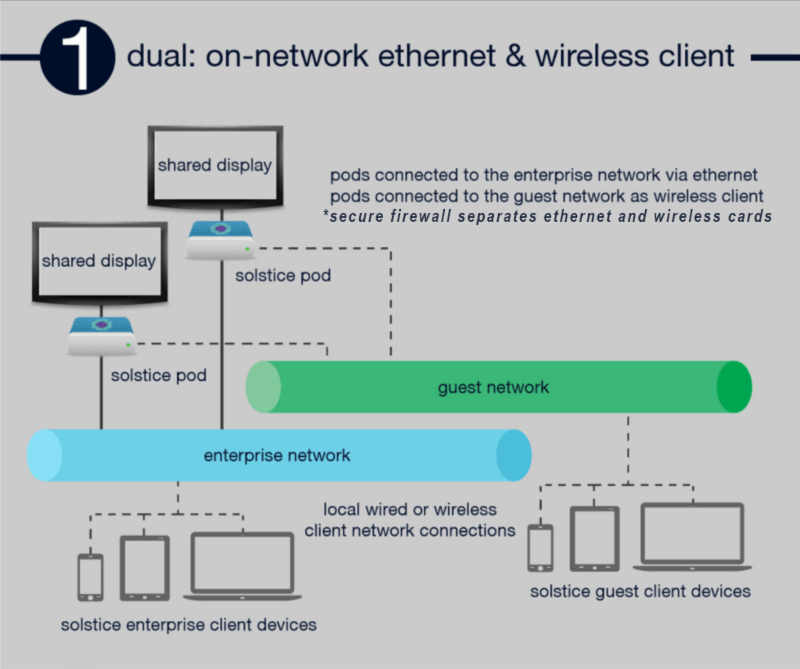 I heard the Solstice Pod can be configured to allow guests to collaborate with enterprise network users. Is that secure? How is that possible? Yes, the Solstice Pod supports secure collaboration among enterprise users and guests in the same meeting. The Solstice Pod includes two network cards separated by a firewall – an Ethernet port and a wireless card. The two network cards can be configured separately and securely via the firewall, supporting a range of network topologies. In one supported configuration, the Pod is attached to an enterprise network via Ethernet and simultaneously attached to a guest network via the wireless card with a secure firewall in place between the two network cards on the Pod. This enables users with enterprise network access to collaborate with guest network users on the same display without compromising network security.